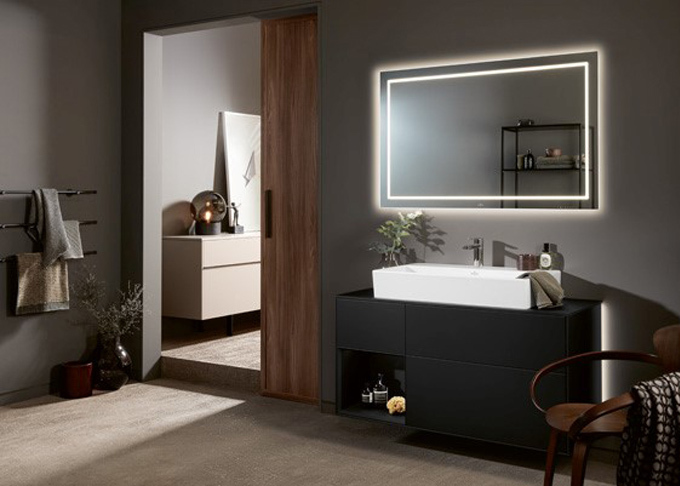 The new Finion range from Villeroy and Boch combines delicate shapes, fine materials and smart features to produce perfection in the top of the range end of the designer sanitary ware market. 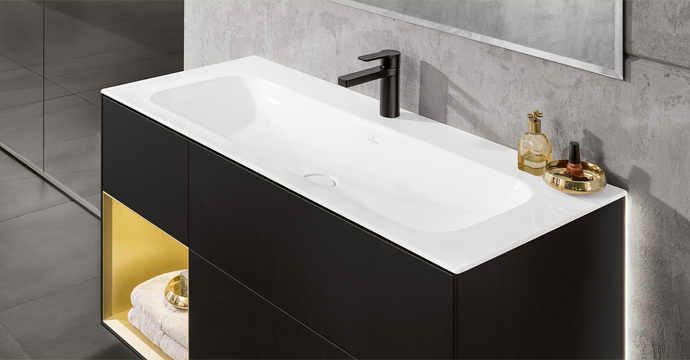 Ultra thin rims made from exceptionally strong ceramic adorn the modern freestanding bath, with optional decorative strips. 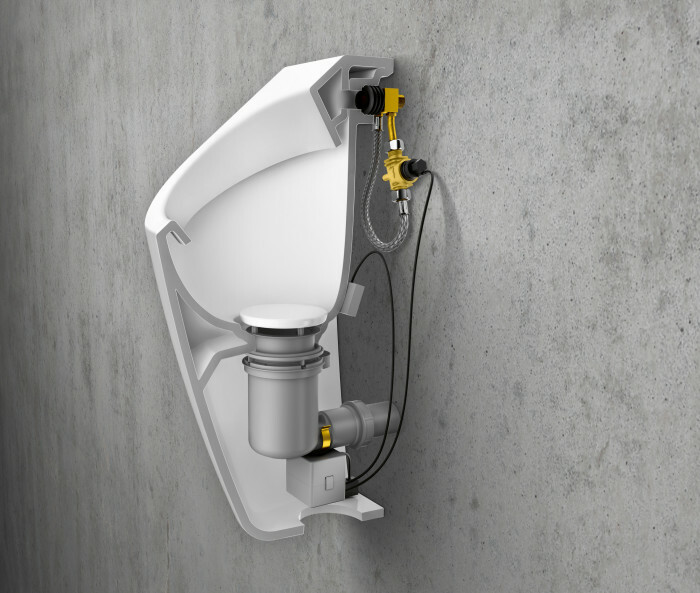 The purist designs are echoed throughout the range, from the minimal, slim toilet seat to the thin walled Titan Ceram basins. 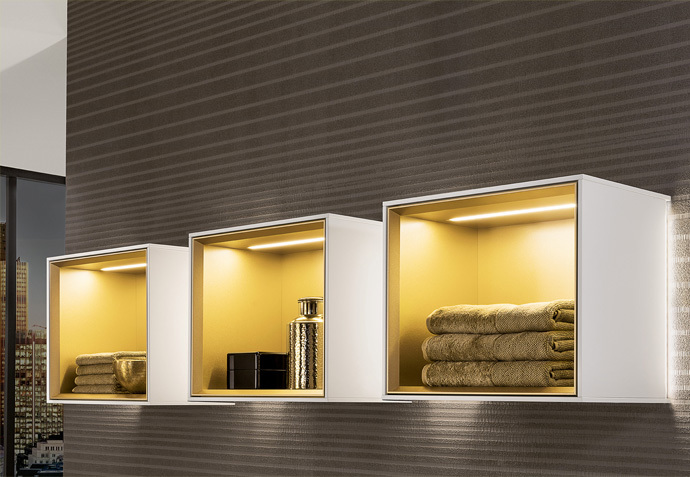 Technology is blended with style, with features such as wireless charging stations, anti-fogging mirrors and indirect shelf lighting. 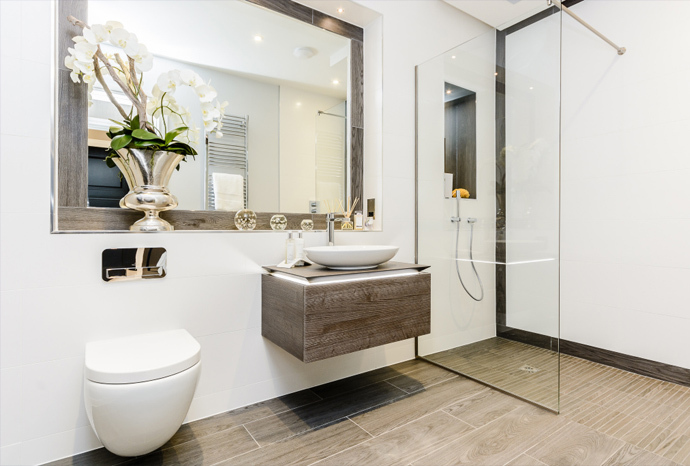 This really enhances the space and feel that luxury new developments and quality refurbishments deserve. 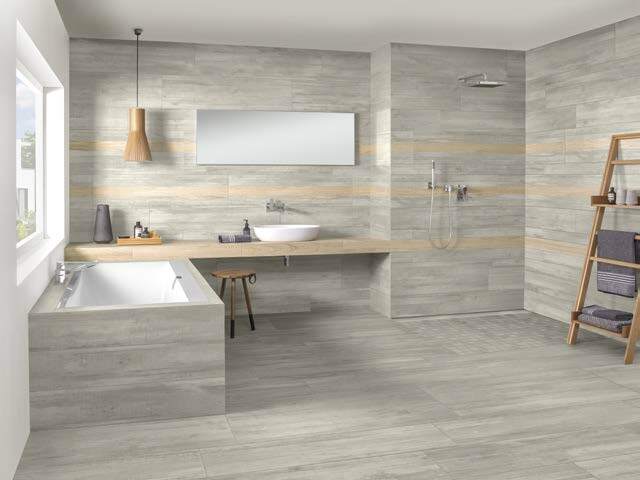 At Concept Virtual Design we will work together with your architect and main building contractor to help make the best use of space, often advising on wall and door positions before the project has even begun any groundwork. 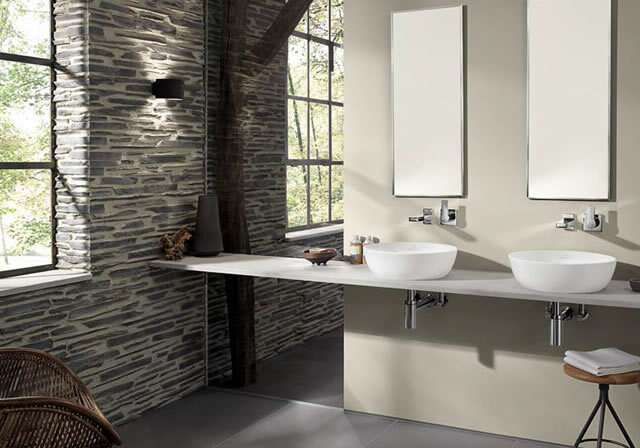 This means the bathroom is as practical as it is beautiful. 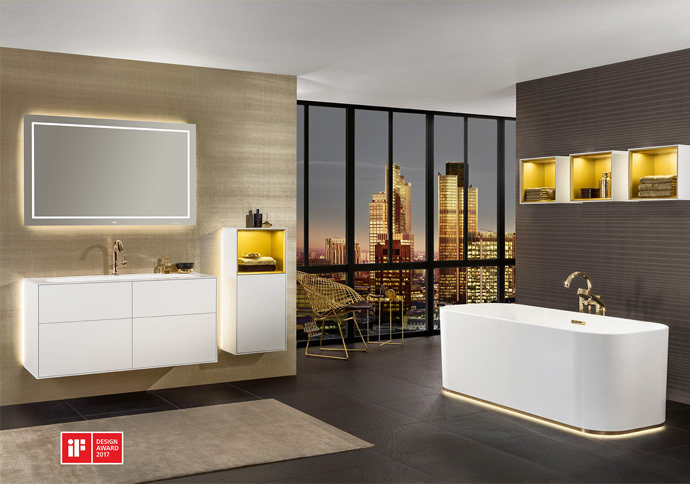 Concept Virtual Design specialises in a full architectural bathroom design service, to our Berkshire, Buckinghamshire and Surrey client base of, luxury developers, architects and private clients . 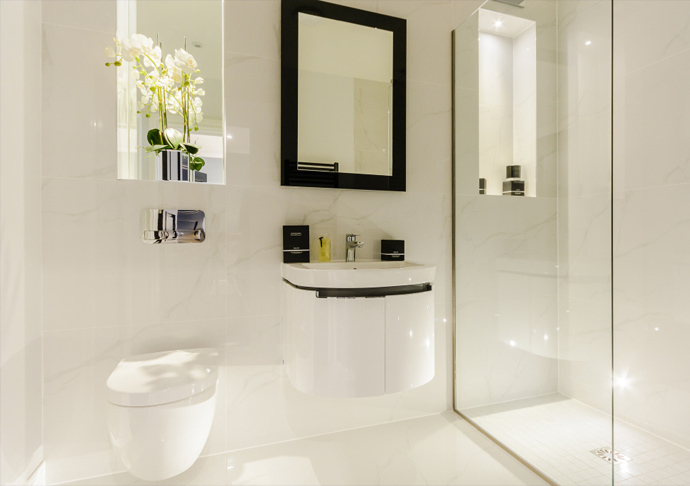 We have recently completed luxury bathroom design projects in Ascot, Sunningdale, Virginia Water, Wentworth, Beaconsfield, Gerrards Cross, Marlow, Henley on Thames, Cookham and Pangbourne. 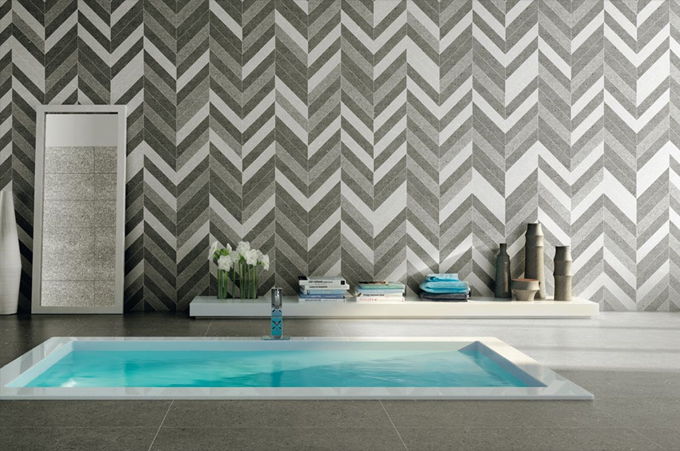 Bathroom design is about a lot more than just functionality, but about perfecting style by incorporating personality into the finishes in the room. 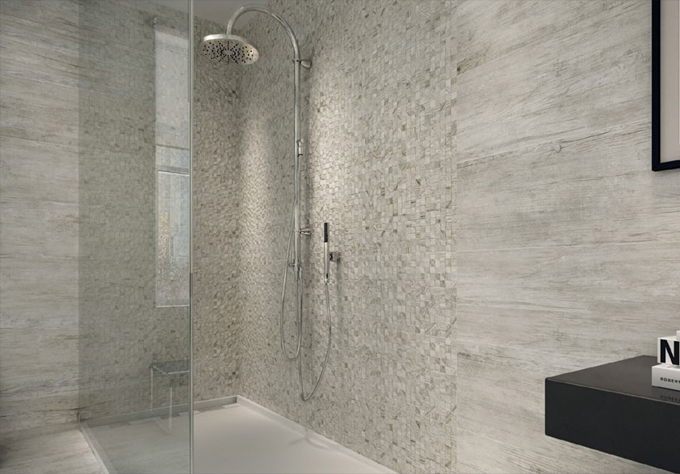 Designing your luxurious bathroom project should be a joy, whether it is a completely new build or whether it is renovating existing bathrooms in a high quality refurbishment . 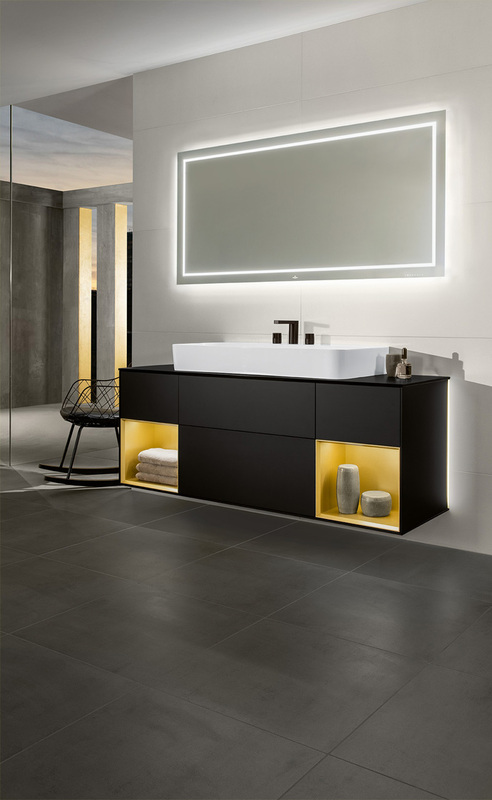 Venticello, by Villeroy and Boch, uses straight line perfection to bring a light, elegant touch to the room without compromising on functionality or usability. 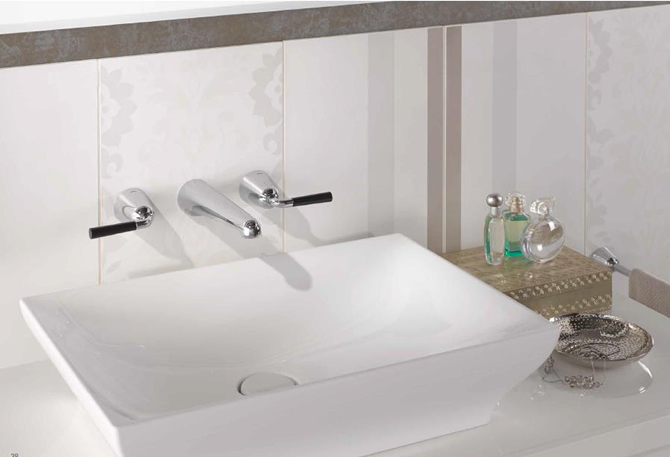 The cabinet sinks are designed with care to provide a functional sink depth of 120 mm, yet the aesthetic appeal of the piece is slim and stylish. 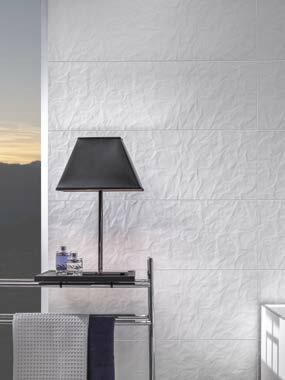 The ceramics are produced to the highest quality, ideal for the high-end new developments where quality and style cannot be compromised. 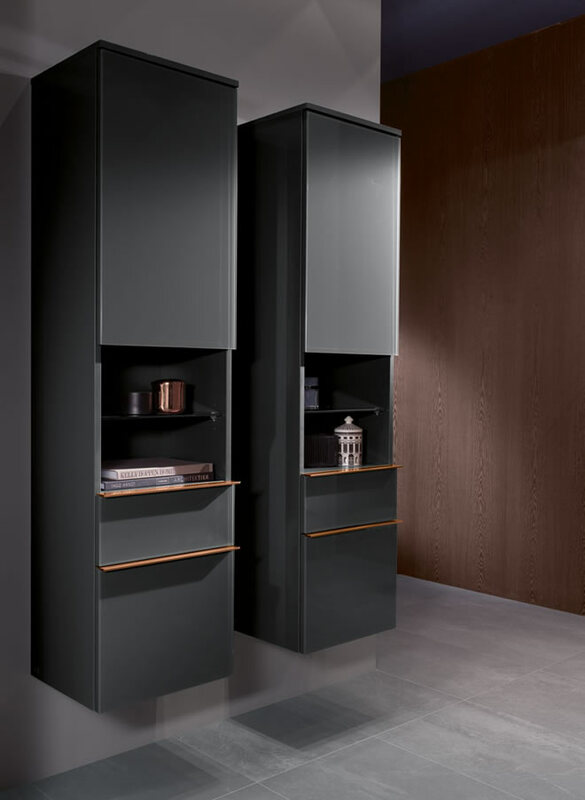 Using such fine lines and thin edges lends a weightless appearance, giving the room a calm, modern feel that enhances the experiences of using such an exquisite space. 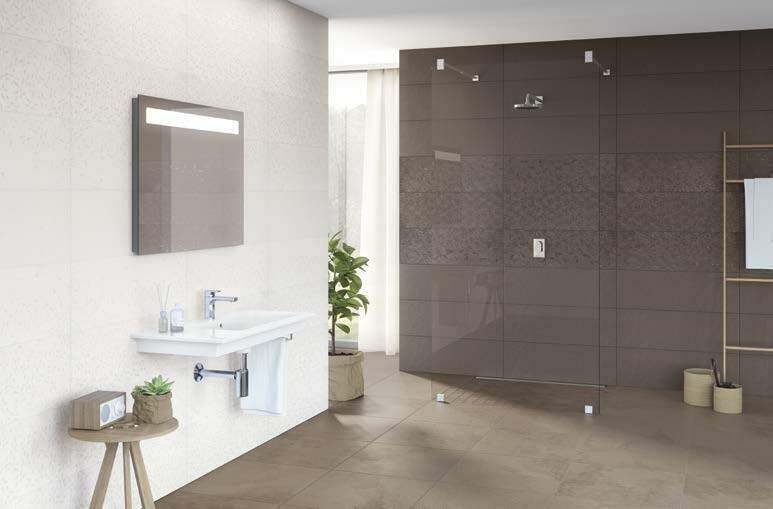 The Venticello range is available in a wide variety of sizes and colours, enabling full customisation and personalisation of the bathroom, to work perfectly with the decor and appliances within. 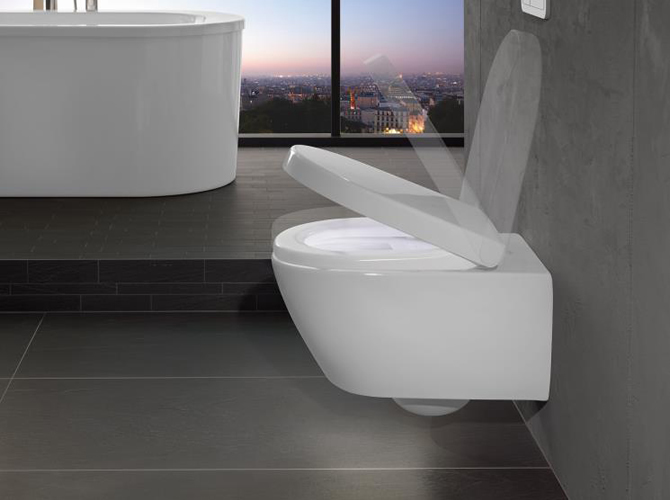 The range works perfectly with the latest unobtrusive bathroom technology, in the form of hygienic, water and energy saving Vi-Clean toilets that require very little maintenance and cleaning. 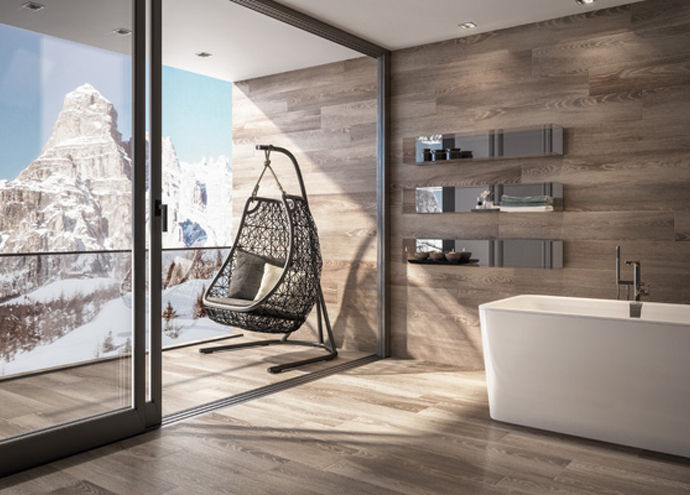 The wellness experience is enhanced by carefully designed products that help make everyday bathroom use a more refreshing and comforting experience. 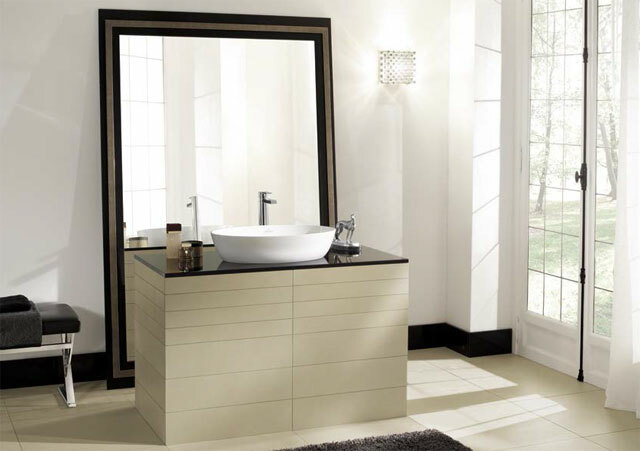 Villeroy and Boch have radically helped to transform bathrooms into areas of wellbeing and luxury. 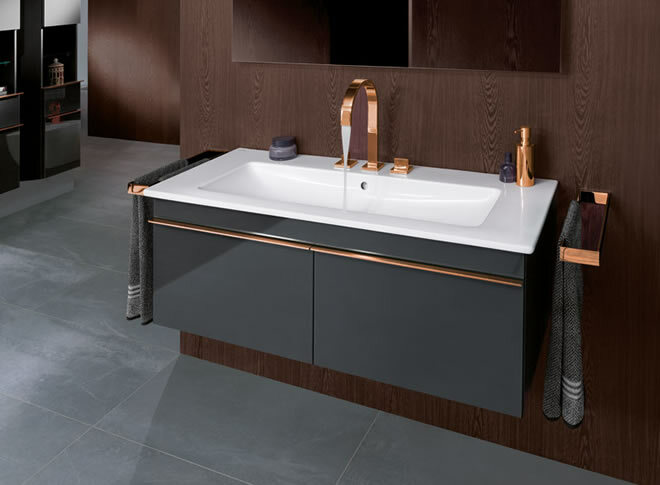 By bringing out the new Artis range of surface mounted washbasins for 2015/16, which are suitable for new high luxury developments, they have, once again, presented innovation combined with imagination to create bathrooms of stunning elegance and beauty. 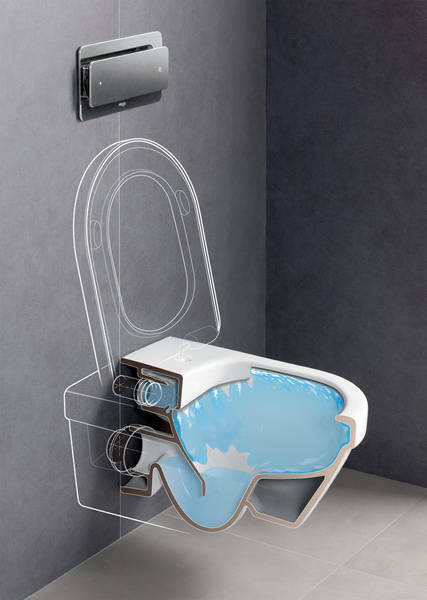 Practically speaking, Villeroy and Boch have taken the most advanced technology in ceramics and used it to create bathrooms not just designed for purpose, but also for pleasure. 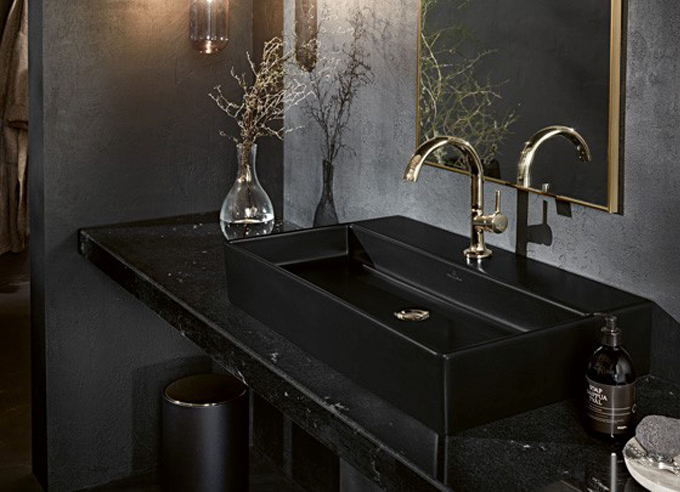 The timeless aesthetics of the Artis collection offer a choice of four geometrical shapes of washbasin, allowing personal preference and expressions of taste to go hand in hand with practicality and style. 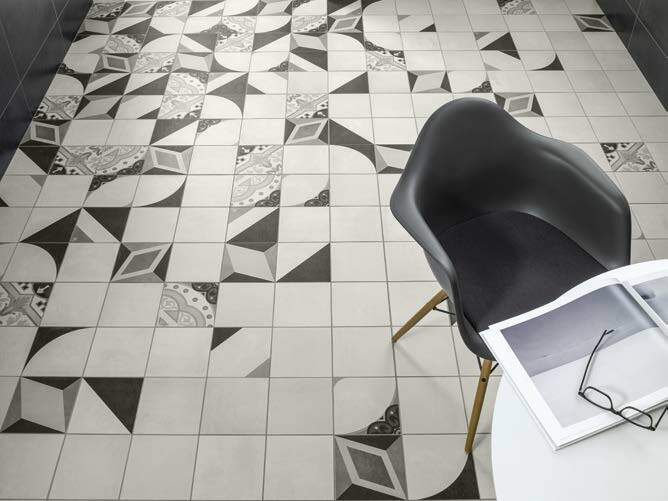 Geometry is given a different voice, taking a basic shape and giving it fresh form and new sophistication without losing the purity of its line and precision. 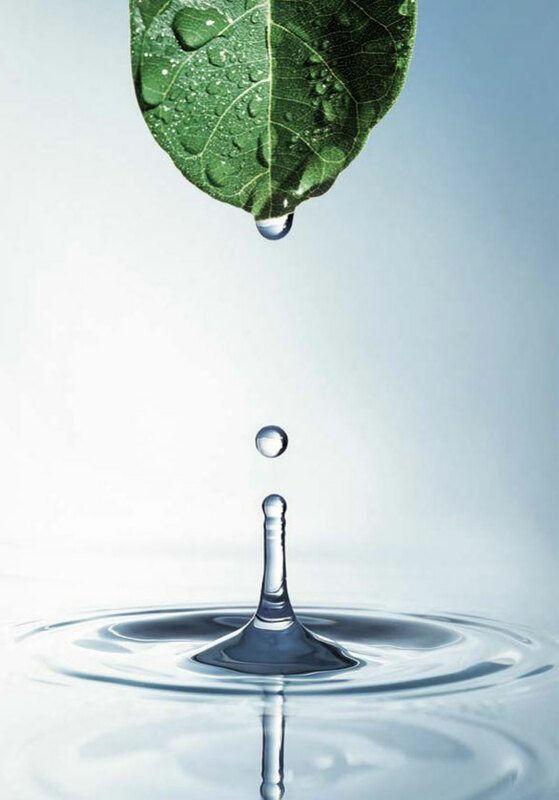 Crisp and decisive lines are used to create a round, square, oval or rectangular bowl. 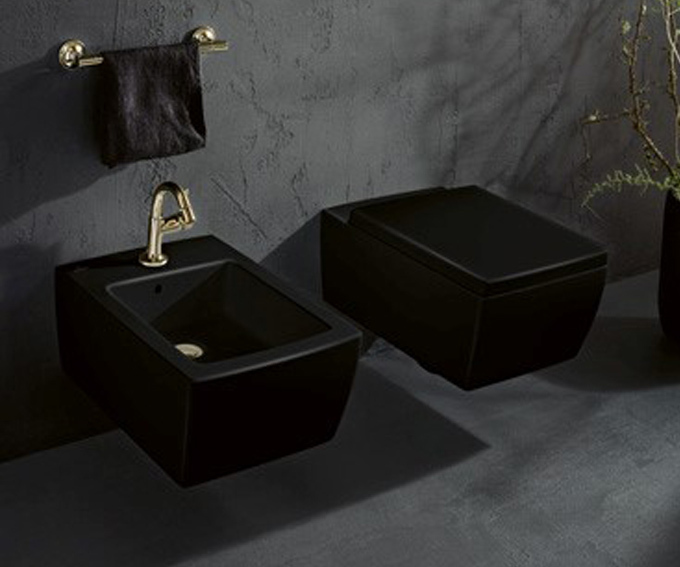 Deep and luxurious, the bowls are integral to the practicality of the bathroom….yet remaining an indulgent expression of necessity. 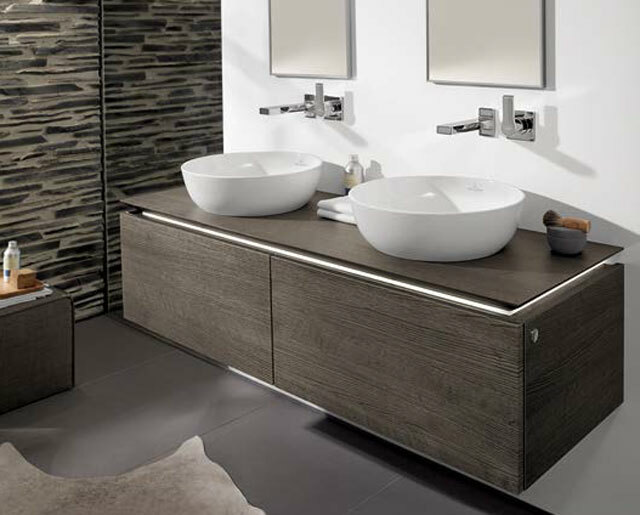 The thin edges of the Artis collection give an illusory delicateness of form, and distinct uniqueness of appeal to the vanity bowls blending it almost seamlessly with the unit on which it sits. 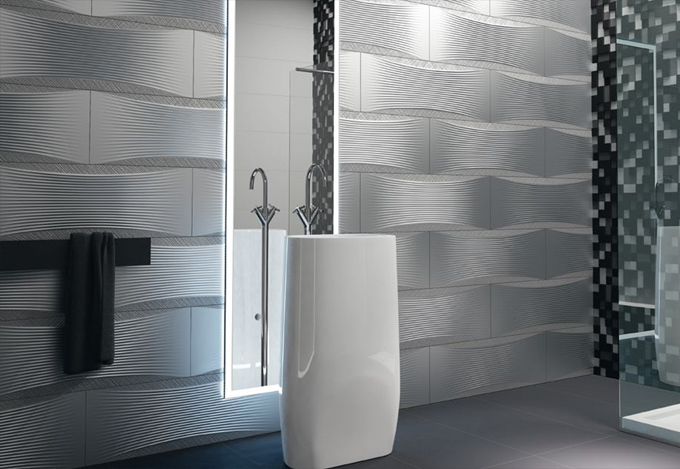 Appearing almost weightless this further expression of luxury enables this collection to be used in any high luxury new development or refurbishment, taking the visual impact of the bathroom to new heights whilst enhancing the appeal and usage to a wide range of styles. 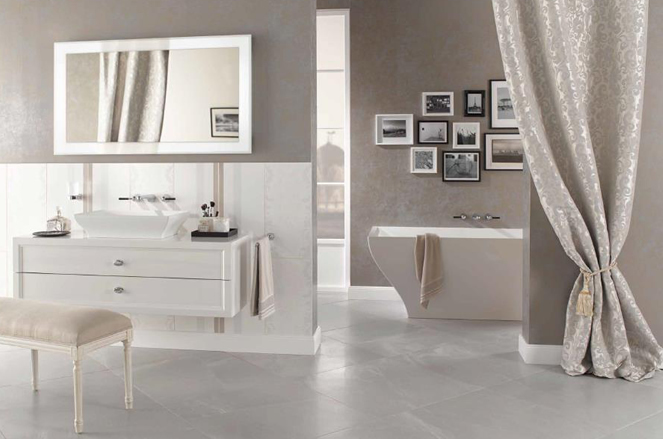 With this inspirational collection, Villeroy and Boch have joined together modernity and character to offer a truly exceptional choice.